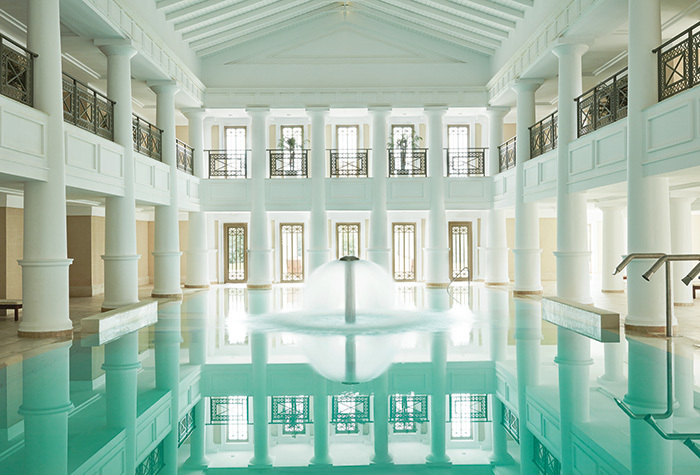 The Olympia Riviera & Aqua Park is the ultimate elegant spa resort, inspired by the famed thermal springs of Kyllini. 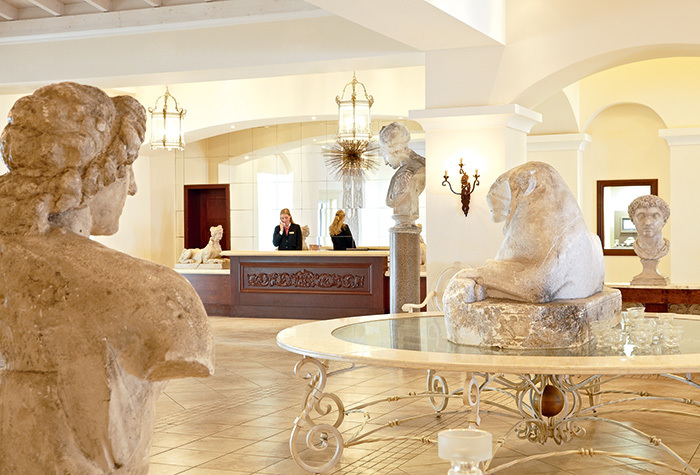 Its aristocratic architecture and classic decor in elegant cream and white tones reflect the images of nearby Ancient Olympia. The main pool cascades to the beach, creating a waterfall as a backdrop to the taverna level. There are two beach pools with exotic landscape & an imaginative paddling pool. The Thalassotherapy centre, visible from the hotel, is lit up in the evening to create a unique Ancient atmosphere. 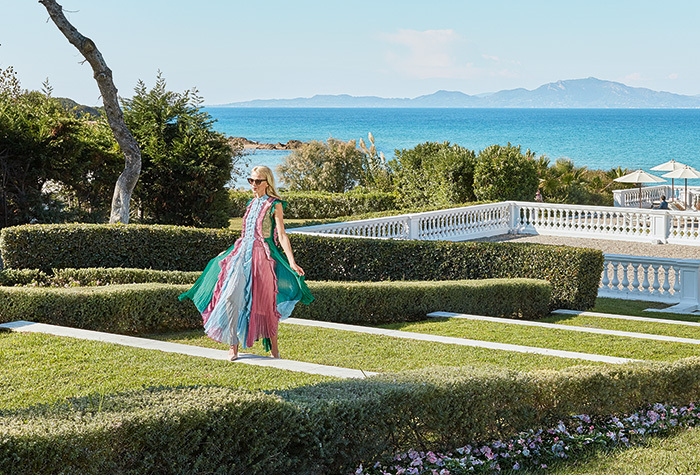 Family activities including the amazing Olympia Aqua Park, a frenzy of 20.000 m2 of excitement, à la carte dining and a host of sports and entertainment facilities are found in the Grecotel Riviera Olympia & Aqua Park. Elegantly appointed sea view guestrooms and summer suites in a style that strikes a balance between the casual and the glamorous. Dining is an experience at the Riviera Olympia & Aqua Park with 20 restaurants and bars and dining schemes around the clock. Savour the goodness of the Peloponnese soil in farm-fresh organic salads and light meals served on the terrace overlooking the sea. 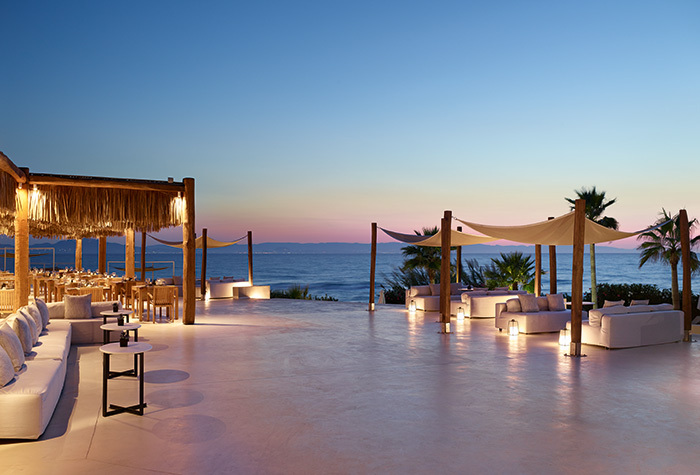 Endless choices in the 2 km Blue flag awarded sandy beach with shallow waters or the 4.000 m² Pool Landscape. An amazing 20,000 m² Olympia Aqua Park is waiting to be discovered. The ultimate experience for the whole family in absolute safety. Family holidays at Olympia Riviera & Aqua Park are all about kids enjoying themselves and parents being able to relax. 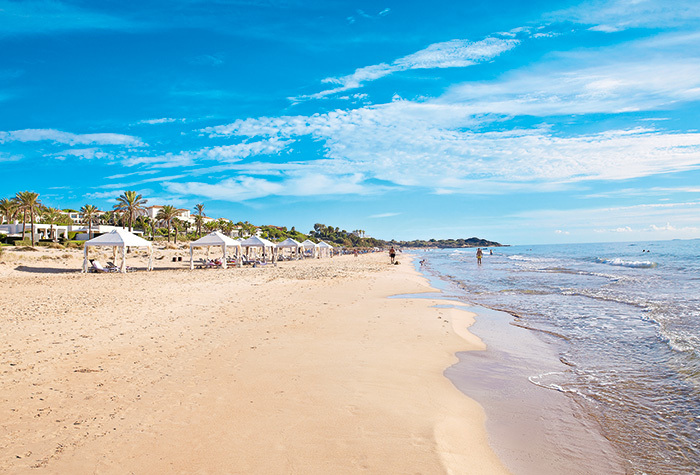 Building sandcastles is a kids' favourite - 2 km of a blue flag child-friendly sandy beach with shallow waters is a dream destination for endless fun under the Peloponnesian sky. 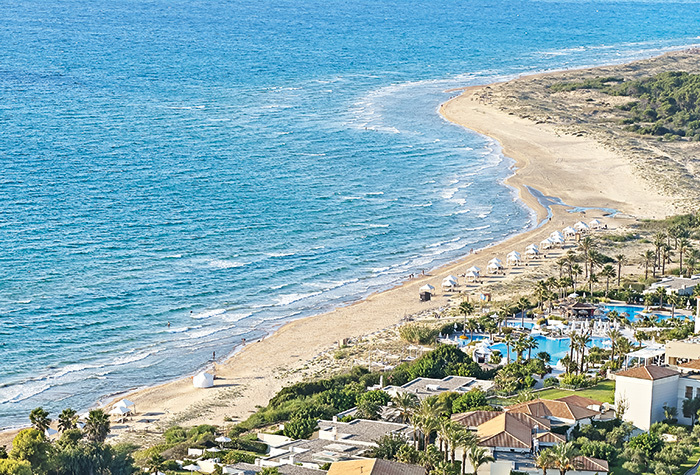 The waterslides and lazy river at neighbouring Grecotel Olympia Oasis is an absolute highlight! Children’s holiday dreams come true! Amazing Grecoland, paddling pools, water slides, endless sandy beach, open-air playgrounds, watersports and horse riding are available for the little ones. A multi-activity camp is operating for our younger guests during high season. 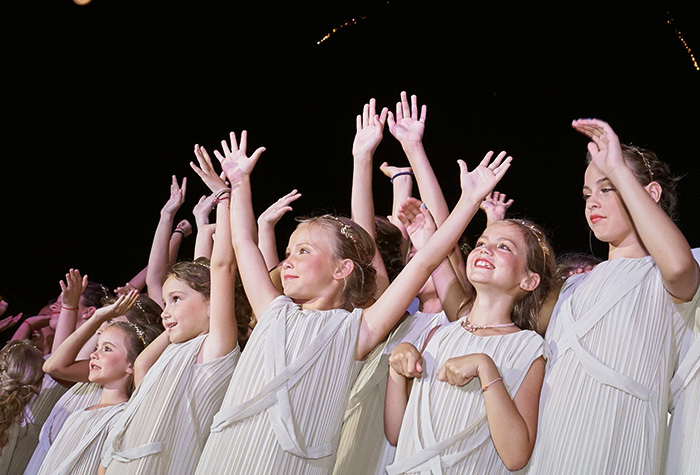 The Grecoland Club in Olympia Riviera hotel was created entirely with children in mind. Brightly coloured benches and tables, costumes, crafts, activities and competitions create a magical holiday experience. All season qualified, multi-lingual personnel offer affectionate supervision for children 4-12 years old for selected hours (morning/afternoon) 6 days a week. Children under 4 yrs. are welcomed to use the Grecoland facilities but must be supervised at all times by parent or guardian.